Jap.130 "Protect a Mother's Dream! The New Attack for Double Moon"
Rini is dreaming once more of Pegasus. She yells for him to stay and tell her more about the enemy but he just tells her to call on him whenever she's in trouble and disappears. It's morning and Serena is in her room. Suddenly she smells fresh pie and runs down the hall to get some. When she gets to the kitchen though she finds Rini and Sammy have almost eaten the whole thing! Rini shows Serena a bit she has left but quickly eats it herself. Serene begins to scream about not getting any. Her mother tells her she made it as a reward for Rini and Sammy both getting 100% on their tests at school and that Serena should study more due to her low 25% mark. However she is surprised that all the pie's gone as she cut it into four pieces, one for each child and one for their father. Serena looks over at the plate and only sees her father's piece left. Rini begins to sneak out but Serena stops her. Rini pulls a face and runs away. Serena becomes furious and storms out. Seconds later though she returns to get her umbrella and leaves again. At the Dead Moon Bar the Amazon Trio are sorting through photos of potential targets. Fisheye teases Tigerseye over failing to find Pegasus. Hawkseye picks up a photo of Serena's mother and decides to target her as she's just his "type". Serena meanwhile is telling the girls about her problem at Fruit Parlor Salon. They pretty much tell her to give Rini a break as she's a long way from home. Back at home Rini walks in on Ikuko, Serena's mother, looking at her photo collection. She shows Rini photos of Serena when she was a baby and on her first day of school. Rini becomes a bit sad that there's no photos of herself but cheers up when Ikuko shows her her favourite photo which features herself, Serena, Sammy, their father and Rini. Ikuko hugs Rini and tells her her dream is to be a good mother and make sure she can prepare her children for the world. Rini tells her that she feels bad about eating the pie. Ikuko says that they should go by some more lemons to make another one. They both leave to go shopping. On their way home they encounter Hawkseye who uses his magic to make Ikuko's shopping bag rip and spill lemons all over the ground. He runs out to help pick them up and then pretends that Ikuko looks just like his mother that he had been searching for all over the world. He then collapses, feigning weakness and tells them he hasn't eaten a home cooked meal on so long. Ikuko tells Rini to go to the shops and buy some food and something to drink. As Rini runs away, Hawkseye smiles. While looking for a shop, Rini runs into Serena. Rini tells her about the emergency and they both buy food and race back to where they left Ikuko. When they get there they see Hawkseye flirting with her! Ikuko tells him that she's happily married and that he's way off base but he thinks he's right on target and smiles evilly. Ikuko tries to run away but Hawkseye summons the board with his magic and quickly straps her to it while revealing her Dream Mirror. Rini and Serena quickly transform into Sailor Mini Moon and Sailor Moon and confront Hawkseye. Sailor Mini Moon attacks with Pink Sugar Heart Attack which annoys Hawkseye but doesn't do much damage at all. Sailor Moon then attacks with a powerful Moon Spiral Heart Attack but Hawkseye simply blocks it with his hand. Hawkseye then summons his Lemure, Cannonball who launches herself like a human cannonball at the two confused Sailor Scouts. 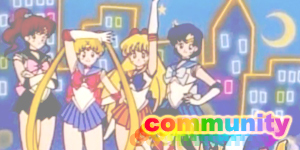 Luckily Sailor Venus pulls them out of the way with Venus Love Chain Encircle. Tuxedo Mask and the Sailor Scouts have arrived! Seeing the Sailor Scouts busy with the Lemure, Hawkseye proceeds to view Ikuko's dream which is beautiful but doesn't contain Pegasus. Over in the battle, Sailor Jupiter attacks Cannonball with Sparkling Wide Pressure but it's no use. 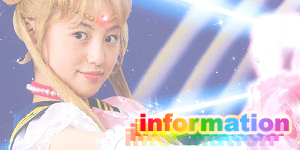 Sailor Mini Moon, seeing no alternative, kneels and consciously prays for Pegasus to help them. Pegasus appears and powers up their transformation broaches to their next level with his power. 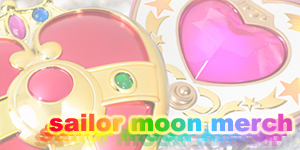 Sailor Moon's Cosmic Heart Compact becomes the Crisis Moon Compact and Sailor Mini Moon's Prism Heart Compact becomes the Mini Moon Compact! 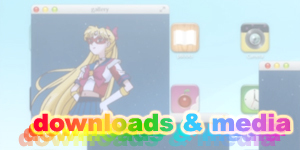 Pegasus tells Sailor Mini Moon to yell out "Moon Cosmic Dream Action". 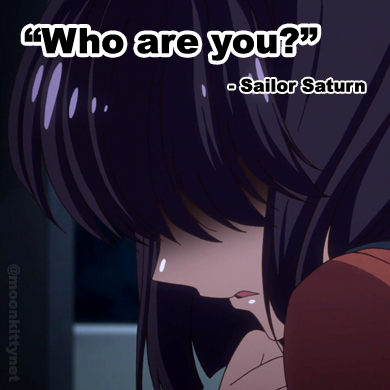 Mini Moon tells Sailor Moon this and together they both yell out their new transformation phrase and transform into Super Sailor Moon and Super Sailor Mini Moon. 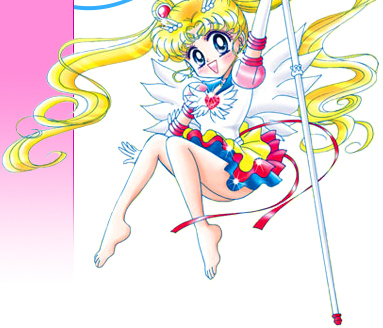 He then transforms the Pink Moon Stick into the new Crystal Chime and the Moon Heart Rod into the Energy Rainbow Moon Wand that Super Sailor Moon had just sampled in previous episodes. Pegasus tells Super Sailor Moon to use her new item to channel his powers. Super Sailor Mini Moon holds up her Crystal Chime and performs Crystal Twinkle Bell. Pegasus' energy flows into the Energy Rainbow Moon Wand allowing Super Sailor Moon to fully perform for the first time Moon Gorgeous Meditation! The combined moves destroy Cannonball. Hawkseye, having failed backflips through a portal and escapes. That night, Ikuko has everyone over for a new serving of her lemon pie. They all (except for Darien who feels embarrassed) beging fighting over who has the most until Ikuko screams out for them all just to try it. they all do and love it. Serena whispers to Rini who she thinks her favourite mum is; her future one or her current one? Rini says that's easy because she loves them both. Ikuko tells Serena and Rini to leave some for their father. Rini teases Serena and says that she'll eat it and just tell him Serena ate it. Serena screams at Rini and everyone laughs. The Lemure featured today called Cannonball was a bit of a wacko though so strong that none of the Sailor Scouts could defeat it in their current forms. 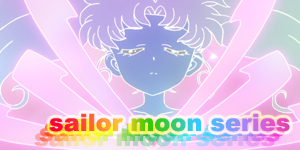 Eventually though she was killed by Super Sailor Moon's Moon Gorgeous Meditation. It's hard to imagine but this was the first time Serena's mother, Ikuko was ever personally targeted by the enemy. You have to wonder why the writers didn't think to do so earlier. Her father wasn't so lucky though. That one photo of him in this episode was his last appearance in the anime. Finally! The first true use of Moon Gorgeous Meditation! 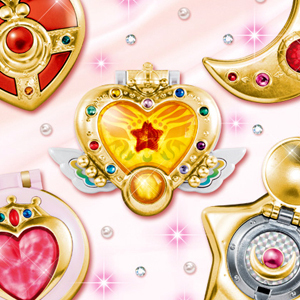 This episode also featured the first use of Super Sailor Mini Moon's first "attack" Crystal Twinkle Bell. PLOT HOLE! 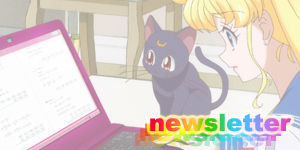 Sailor Mini Moon's Pink Moon Stick was damaged in the final episode of the Sailor Moon S in what looked like pretty final damage. I guess the crystal repaired itself. Either that or the writers just wanted to use Pink Sugar Heart Attack one more time. 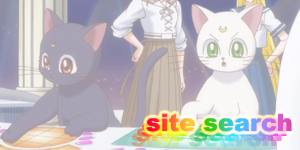 I guess it goes without saying this this episode featured the first appearance of the Crystal Chime (Crystal Carrion in the Japanese Version) and while it had appeared in the two previous episodes, the Energy Rainbow Moon Wand (Kaleidomoon Scope) was finally named and given a permanent corporeal form here. Serena's rant to her friends about her mother not loving her seemed rather selfish considering both Lita's and Raye's mothers are dead. Nice one Serena!